I have a very simple agenda today - to share one of my latest favourite moisturiser that I am almost finishing. 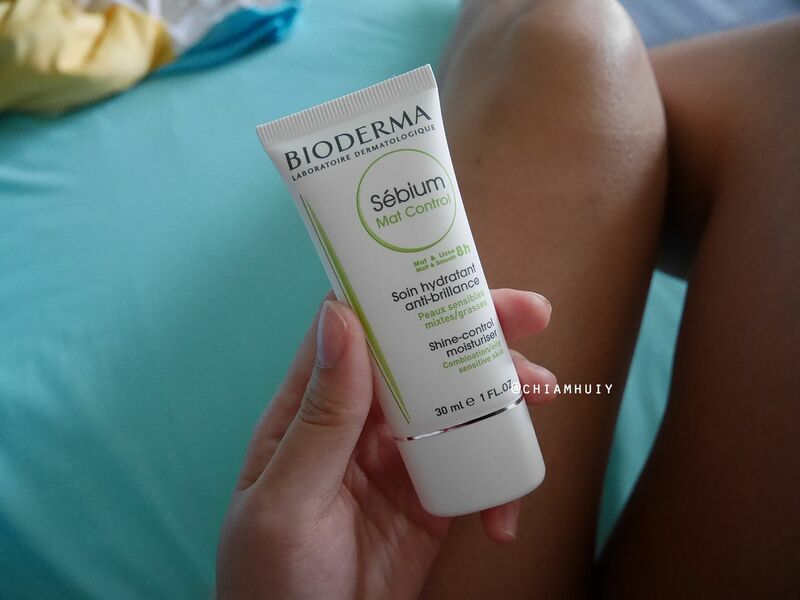 Bioderma sent over this Sebium Mat Control, which is also known as the shine-control moisturiser to me for my review. 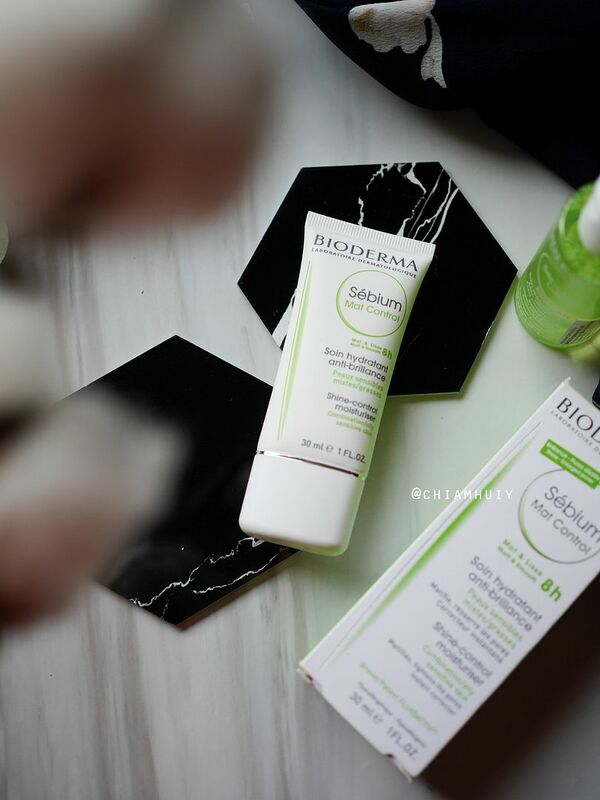 All along, I have a pretty good impression of Bioderma skincare, a well known dermatologist-tested brand suitable for all skin types, including sensitive skins. 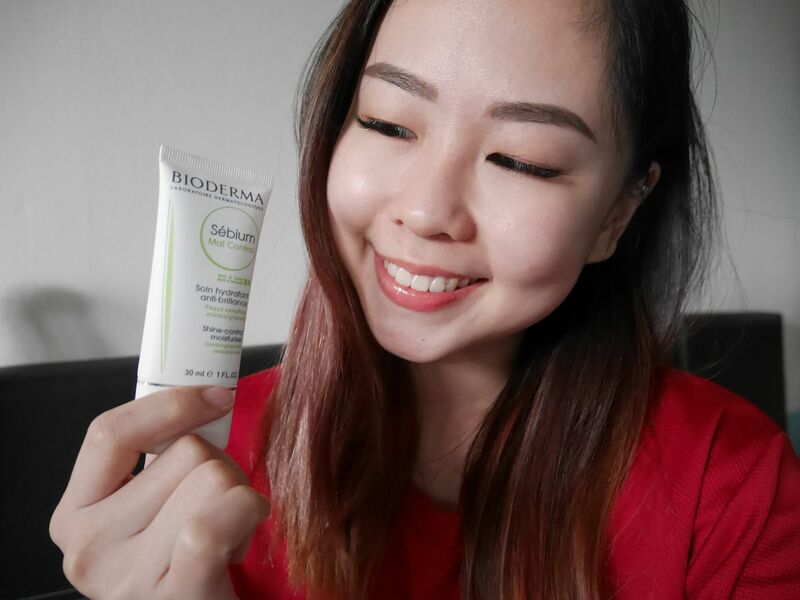 Let me convince you why you should try out this Bioderma Shine Control Moisturiser. 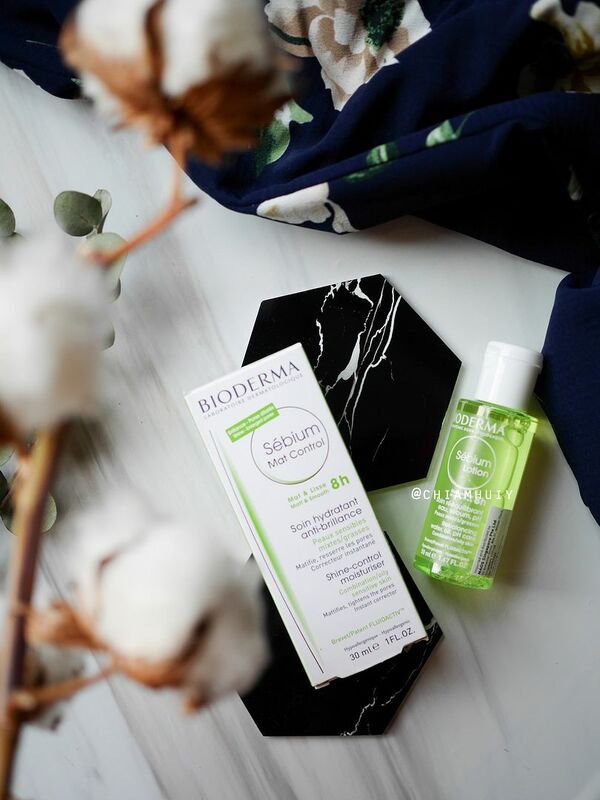 The Bioderma Shine Control Moisturiser's one good use is a mattifying moisturiser, making it very suitable for oily skins. In essence, it targets the source of oily skin by biologically regulating the quality of skin’s sebum. Depending on individual, your imbalances and changes in hormonal activities can be part of the reason why your skin secretes excessive sebum (oil). Some people naturally secretes thicker sebum, which results in follicles being clogged. I don't think this will come as surprising to many. The improper use of skincare can greatly affect your skin, especially when you use something that irritates your skin. For example, if you use something that overly cleanses your skin, your skin will become too dry. This sends a red alert signal to your skin, telling your skin to secrete even more sebum to compensate the dryness. Whatever you eat and do on a daily basis contributes to your skin's performance. High-glycemic diet (sugar, flour, rice etc) and high stress levels increases hormones activity, thus contributing to the formation of acne. What I really love about this Shine Control Moisturiser is its matte finishing. It feels akin to primer, so I always keep this to the last step before applying my sunblock and eventually makeup. 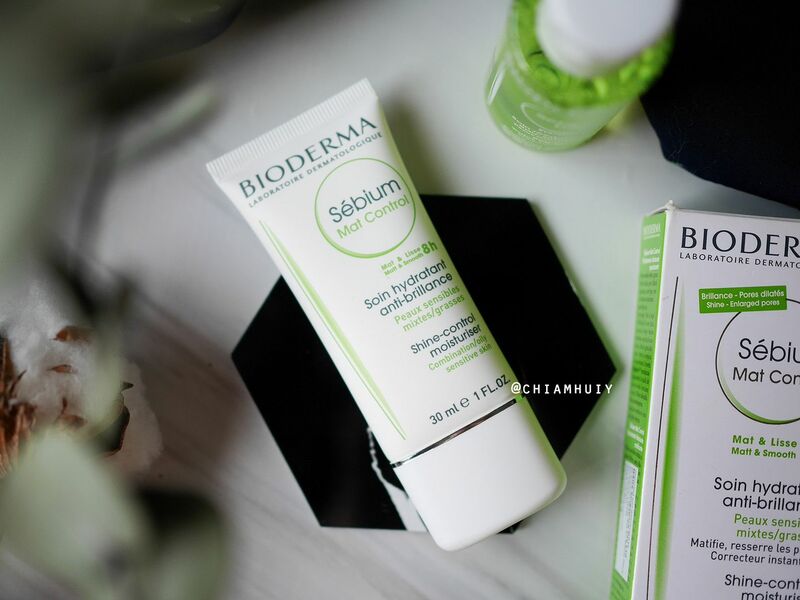 The Fluidactiv™ Patent in this Bioderma Sebium Mat Control Moisturiser biologically regulates quality of sebum similar to that of healthy skin and reduces the chances of clogged pores and pimples forming. Most importantly, this moisturiser control shine and smoothes skin for 8-hour, and provides 12-hour hydration with Glycerin. Other beneficial ingredients include Zinc Gluconate and Vitamin B6, which helps to control shine in the long run by reducing sebum production. Mushroom Extract’s astringent properties also helps to reduce the appearance of large pores. 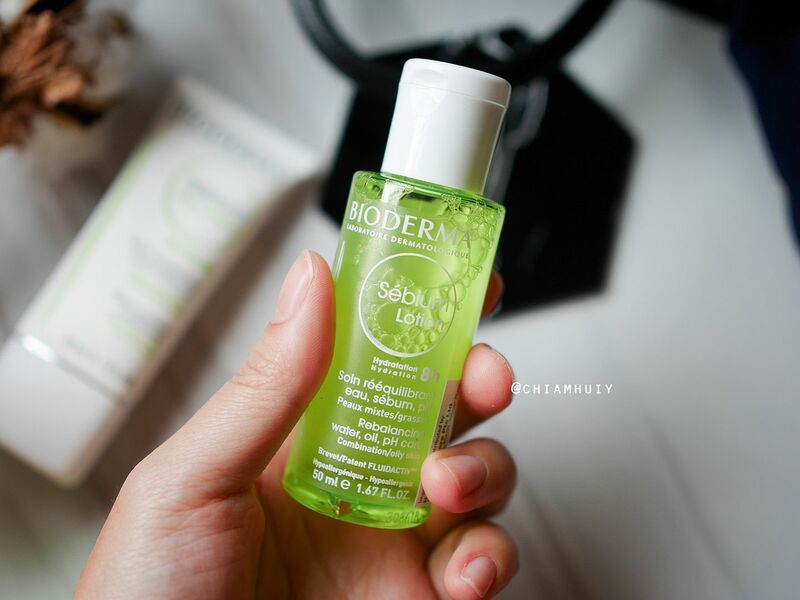 Finally, there's also Salicylic Acid present to refine and improve skin’s texture. 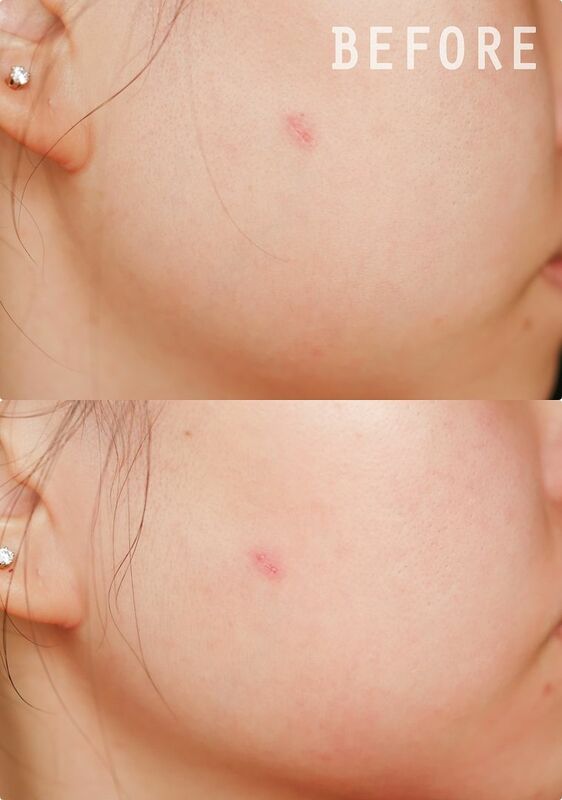 It instantly moisturises dry patches and even my wound on my skin (I accidentally scratched my face). This moisturiser works just nice for all skin types, including Oily Skin, Combination Skin and Sensitive Skin. I've been using it for almost a month now and I have been loving it so much. I am not a primer person, so this makes it even better for me. Plus, who doesn't love the slim packaging that makes it so easy to bring around? Great for travelling too! I was also sent the Sebium Lotion in its travel size, which is perfect for my trip to korea. Again, I used it every single day and night during my trip. 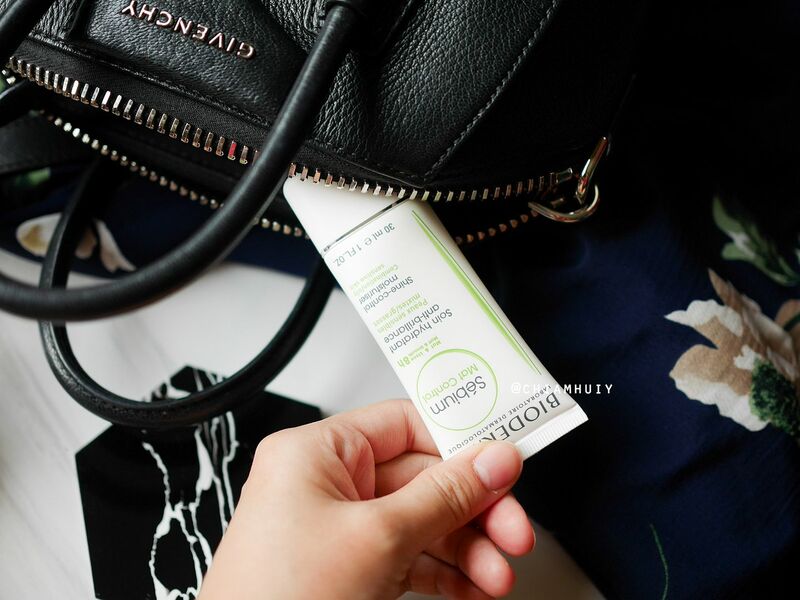 It has kept my skin in good condition, when I know very well that my skin may feel really dry during the slightly cold weather in Korea. The lotion smells refreshing, and it feels so light you wouldn't be able to differentiate it from water unless you take a sniff of it. 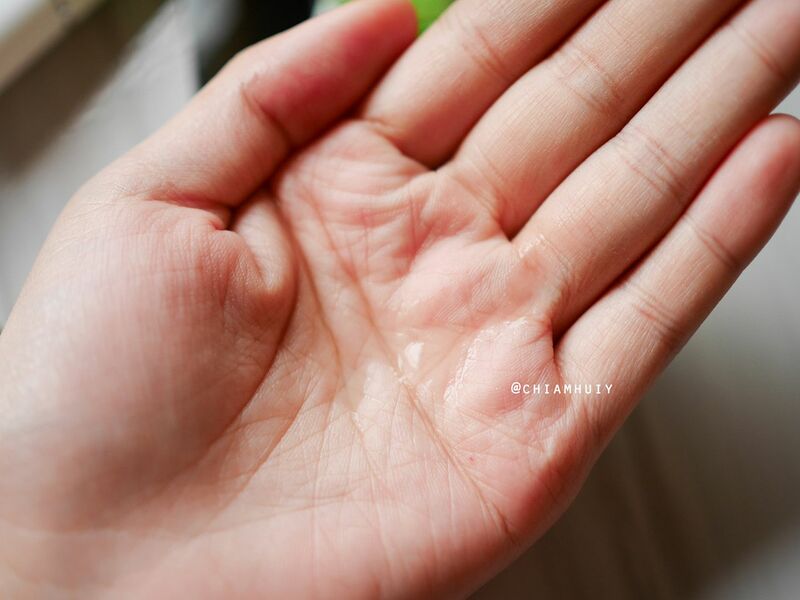 Despite being so lightweight, this lotion has the ability to regulate your skin’s pH to a healthy level, keeping sebum production at a sufficient level. The best way to use this lotion is to pour onto a cotton pad or two, and wipe across your skin. Otherwise if you're too lazy like me, feel free to pat this good stuff onto your skin with your clean hands. 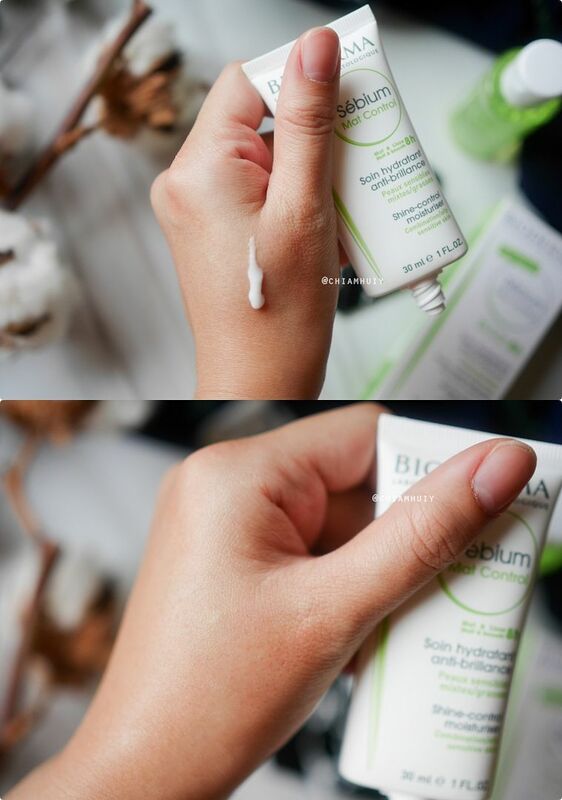 Bioderma Shine Control Moisturiser is retailing at $36.90 (30ml), while the lotion retails at $33.90 (200ml). *CURRENT PROMOTION* You can now buy 1 and enjoy the second one at 50% off at Guardian stores, while promotion lasts!